Is Your Security Still on a Phone Line? Keep your home protected and your family safe with a complete Wireless Security System and Allied Fire & Security’s award winning support! *Includes installation and equipment for Allied Home Secure™ technology package, 36 month agreement monitoring fee and enrollment in auto pay. Please see our terms and conditions at the bottom of the page for more information. 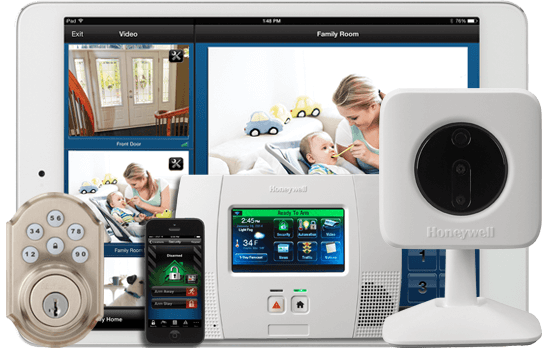 A wireless security system and monitoring will ensure you, your family and your assets are protected in the future as land lines become underutilized. These new security systems and wireless monitoring allow for remote control for arming/disarming system, locking and unlocking doors, knowing when the kids come home, knowing when packages are delivered, alerts when there are activities, and much more while you are on the go. The future of security will continually become more advanced, so now is the time to upgrade. Even if you want to keep your wired system, it is recommended to upgrade to a wireless security system as a backup. This will help you potentially avoid issues if your power goes out for phone system fails for any reason. Not an existing customer? CLICK HERE to read more information on our new wireless security systems! *For current Allied customers only. Please call your local branch for more information or fill out our form on this page and someone will contact you. Pricing for the free Cellular monitored system requires 36 month monitoring and auto pay enrollment. Please see our terms and conditions. Click here for new customer upgrades! Contact Us to Upgrade Today! Watch what happened to this couple when local thieves realized their home used the old phone line security system rather than wireless.